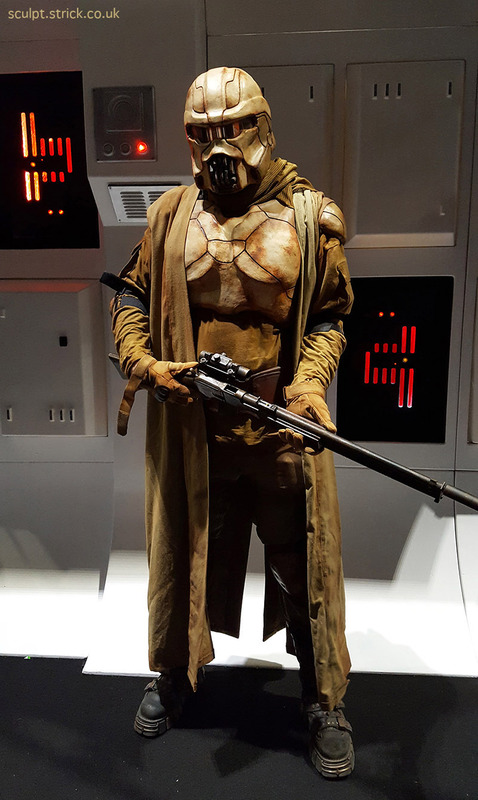 A costume for Star Wars Celebration London 2016. I wanted to make a new character that felt like it belonged in the Star Wars universe. My concept was a Wild West-style bounty hunter who would be at home in the deserts of Tatooine. I re-visited Ralph McQuarrie's pre-production sketches to get a feel for the ideas behind the classic costumes and filled several sketchbook pages with ideas based on them. I settled on a concept that I felt echoed the early Stormtrooper designs but with the suggestion of the brim of a cowboy hat and Clint Eastwood-style squint lines. He was originally going to wear a poncho but I found this to be just too much in practice, so settled for a long robe meant to suggest a duster coat. Rather then make a full-body life cast, I added a slightly depressing amount of padding to a mannequin until it matched my dimensions. 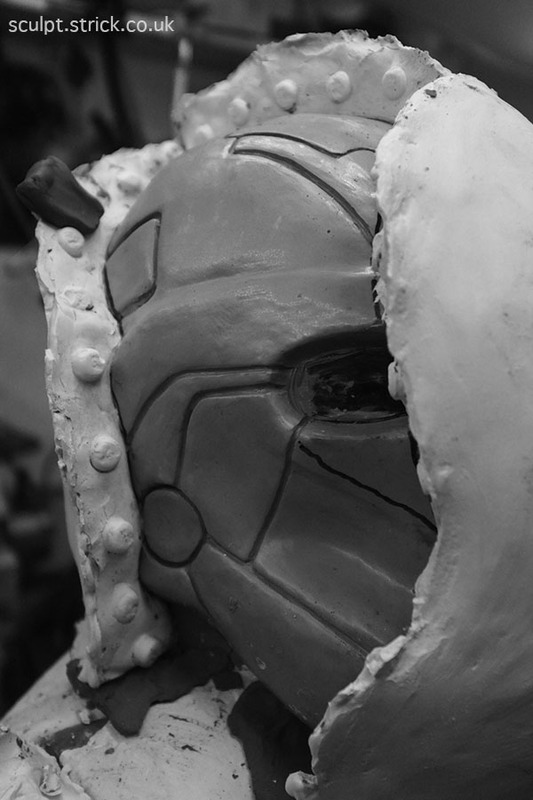 The helmet and armour were sculpted onto this using WED clay. Once I was satisfied with the sculpt, I sealed it and applied a coat of release agent. I then built up clay dividing walls. I used a heavy-duty dental plaster to make the moulds. 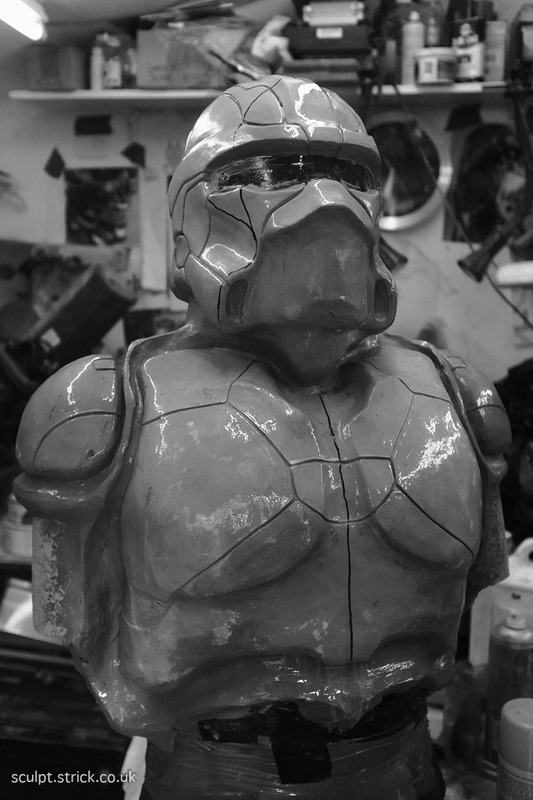 It required 25kg of plaster to make the parts for the helmet, shoulders, chest and back armour. 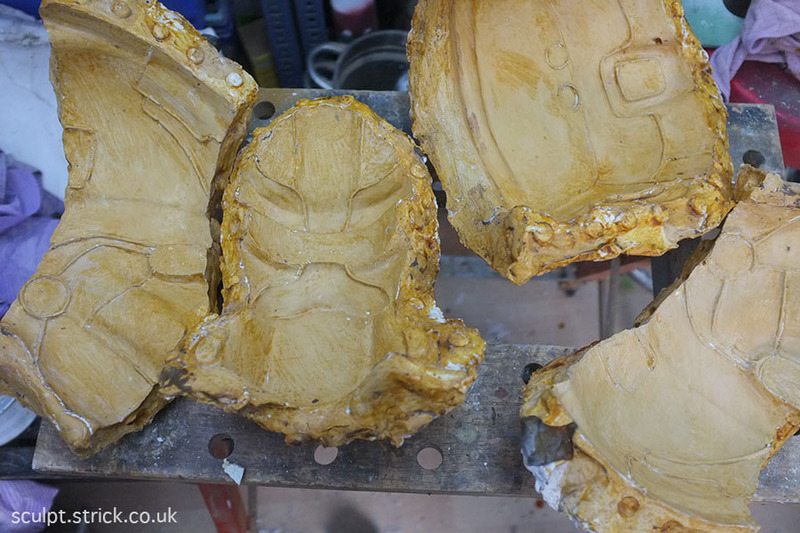 The mould parts were thoroughly waxed and polished and given several coats of release agent. The armour was cast usng an initial layer of Gelcoat, followed by Easylam resin and glass. 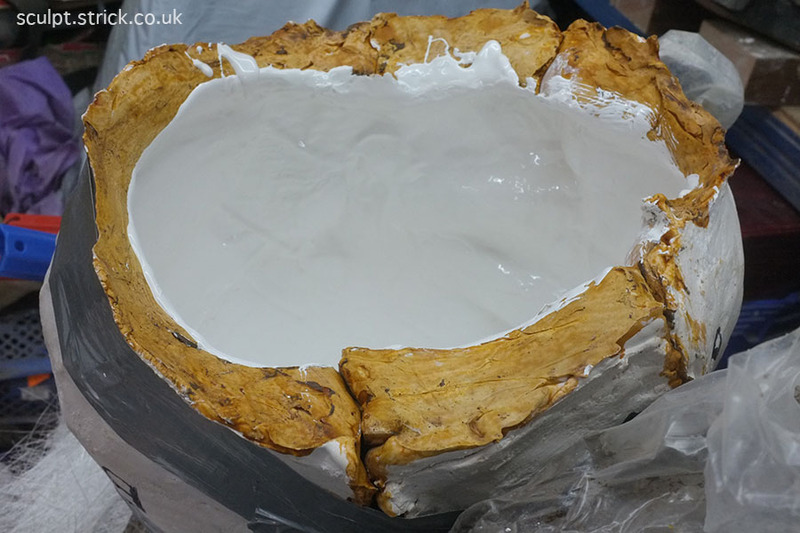 It was then carefully removed from the moulds and trimmed. The armour was painted with quite a heavily weathered finish. I fitted three cooling fans in the helmet, drawing air in through the lower vents and blowing out through a vent at the rear. The fabric elements were a combination of modified off-the-peg items and some bespoke parts made by my talented partner to match my sketches. The blaster was built on a non-firing replica rifle. 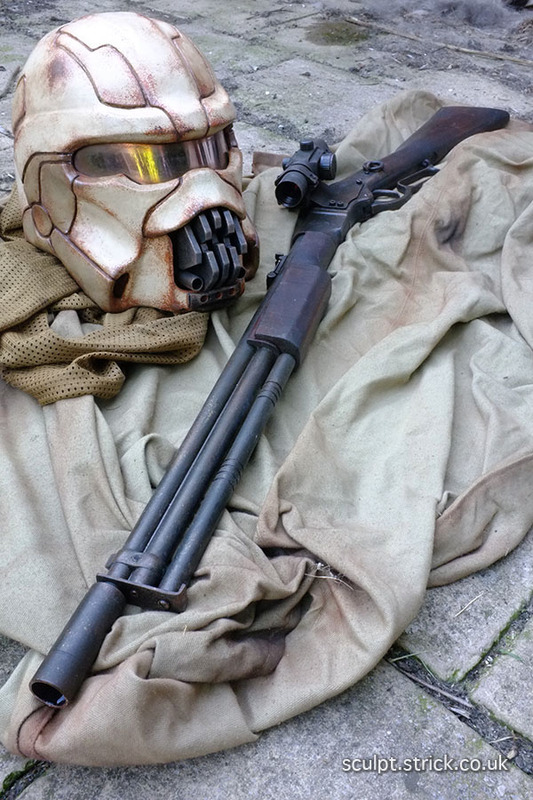 I added wooden and custom-machined aluminium parts to try and match the feel of actual Star Wars weaponary.